Modelling German WWII Armoured Vehicles is an essential reference for wargamers and modellers who build and paint World War II German armoured vehicles. It provides extensive information on the vehicles, describing what was used and when, and how the vehicles evolved and were adapted to perform specialised functions. Photographs of vintage vehicles have been included to enable the creation of realistic models. 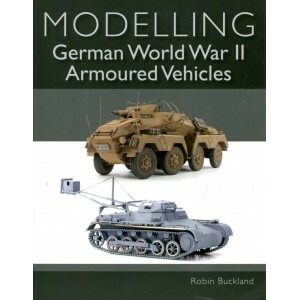 This new book encourages both young and old to get into the fascinating hobby of modelling military vehicles. It provides a history of German Armoured Fighting Vehicles (AFVs) and looks back at early AFV models and the development of the hobby over the last 50 years.